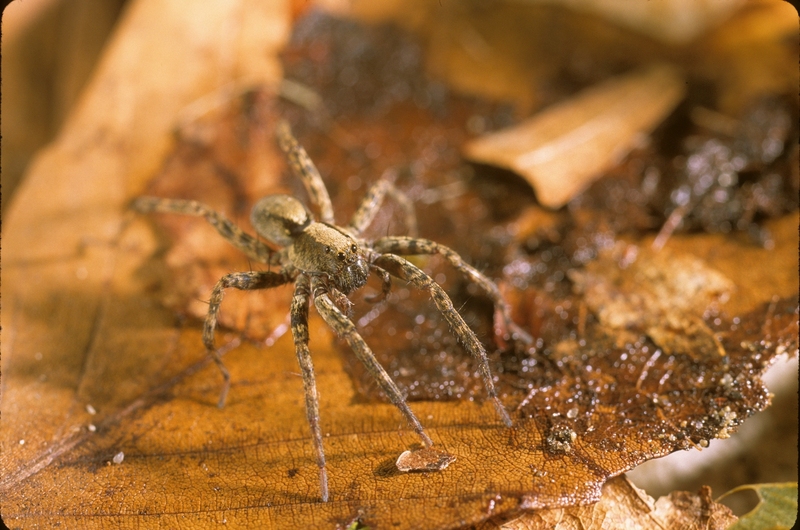 There are 57 species of wolf spiders known from Ohio. This represents about 9% of our spider species. 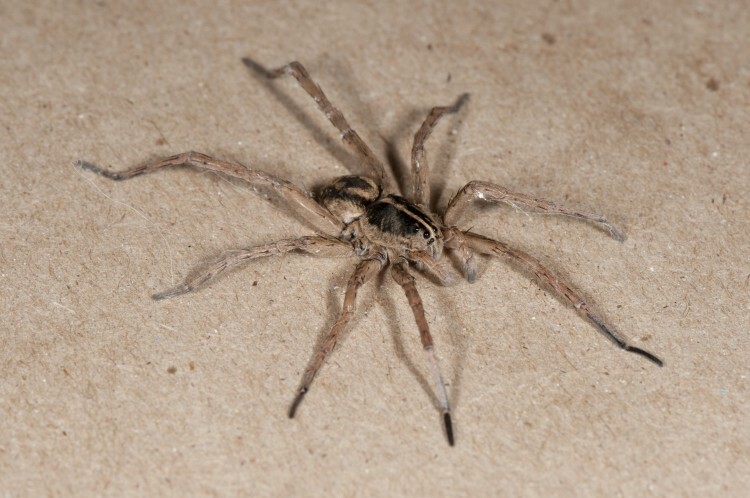 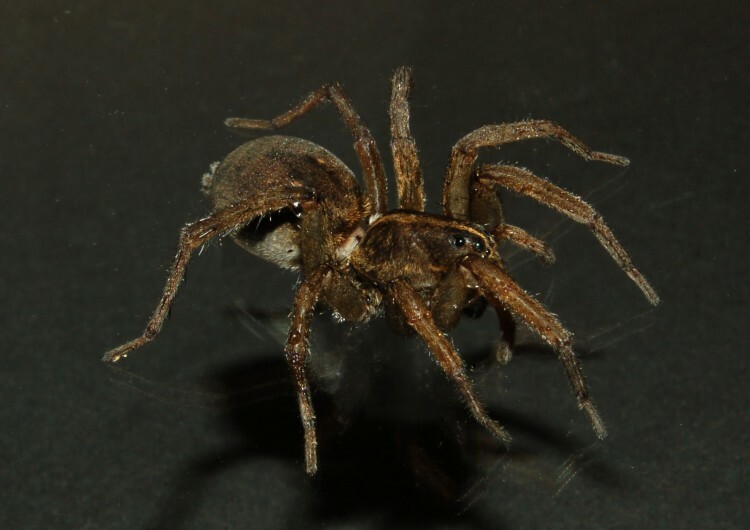 Wolf spiders are active spiders that may be found day or night. The body and legs are patterned with subtle hues of brown, gray and black which form excellent camouflage against the dead leaves and debris on the ground where they are found. 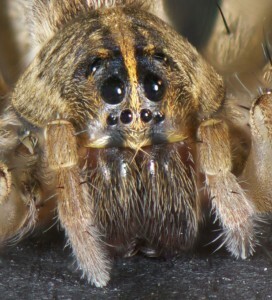 Wolf spiders have large and obvious eyes. 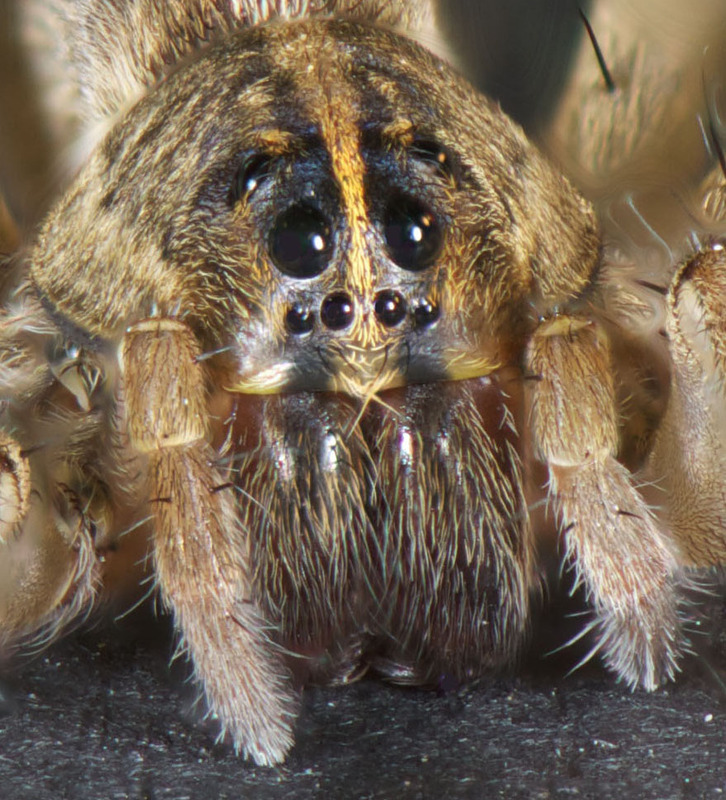 The four posterior eyes form a distinctive rectangle or trapezoid on the top of the carapace. Despite their name they do not pursue prey by running long distances. 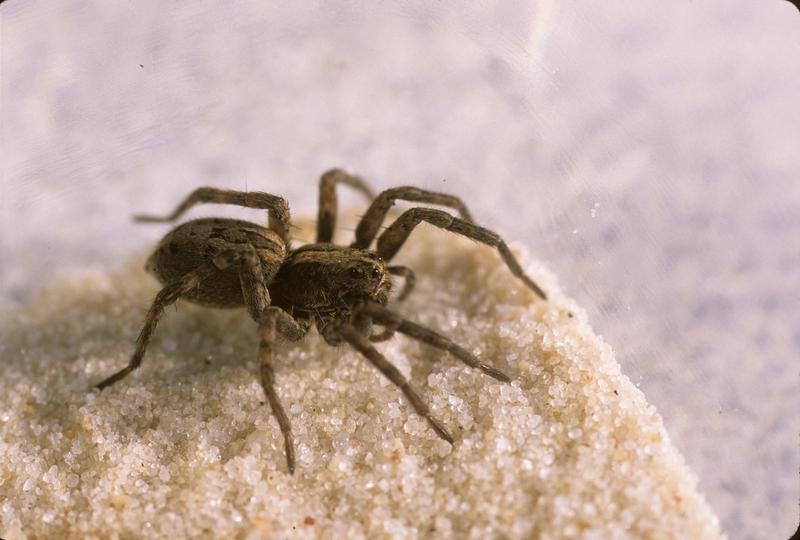 They move from place to place but stand in one place and wait for prey to approach, then lunge on them. 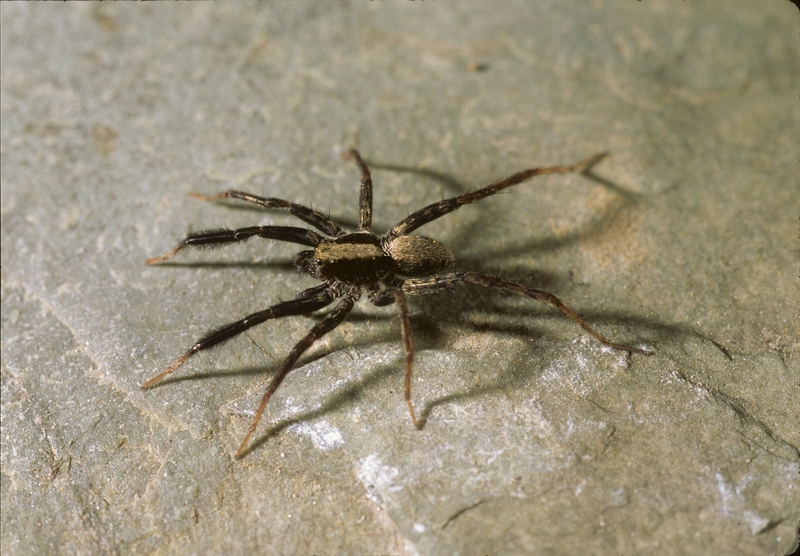 At night, wolf spiders can often be found by using a head lamp, scanning for reflected eye shines. 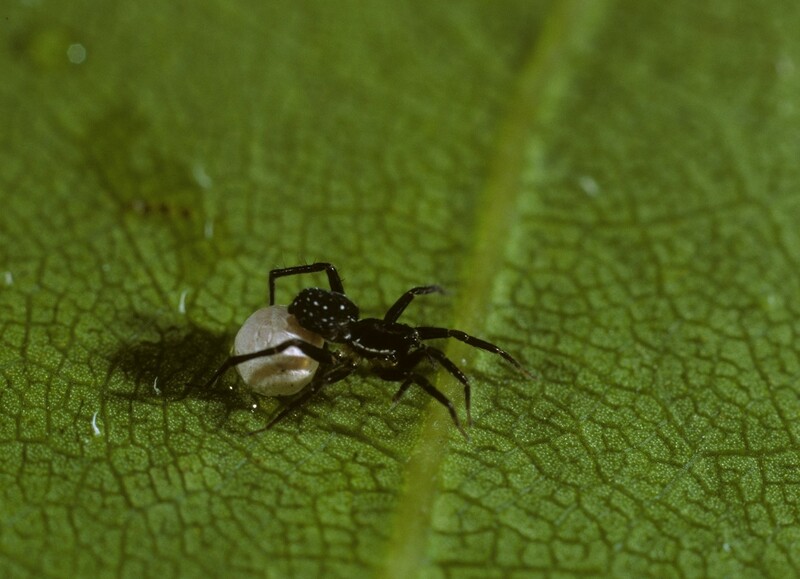 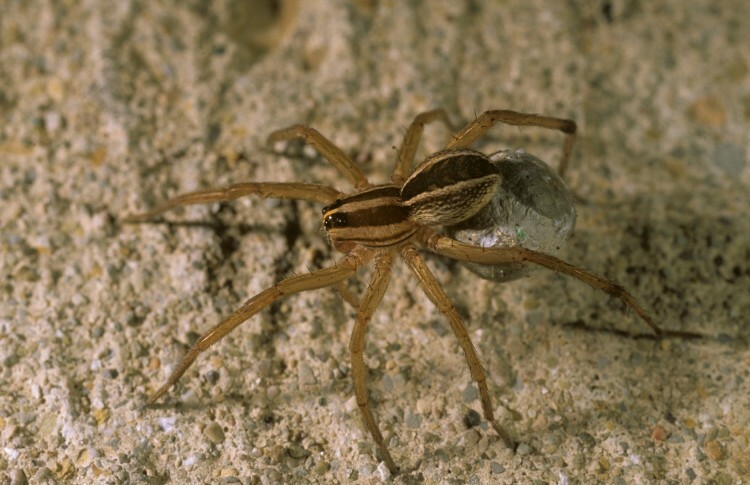 In spring and summer adult females are often found with a white or light-gray egg sac attached to their spinnerets. 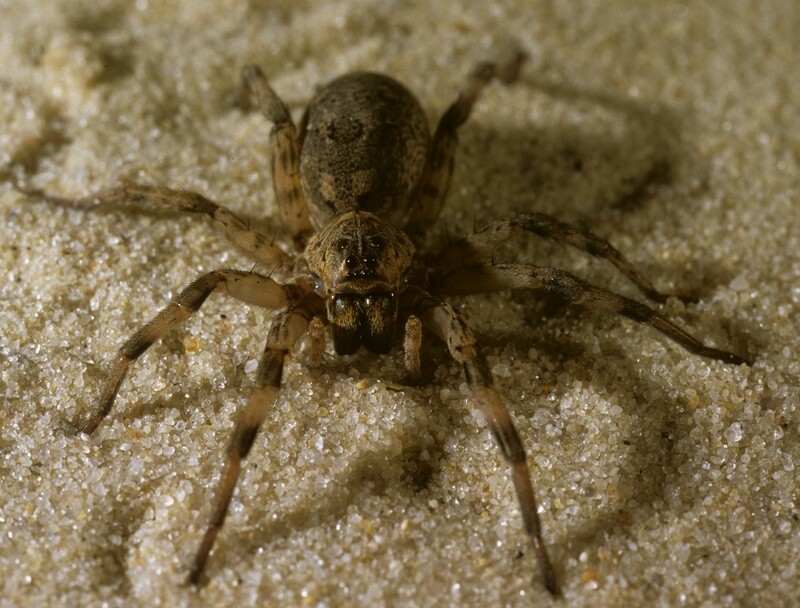 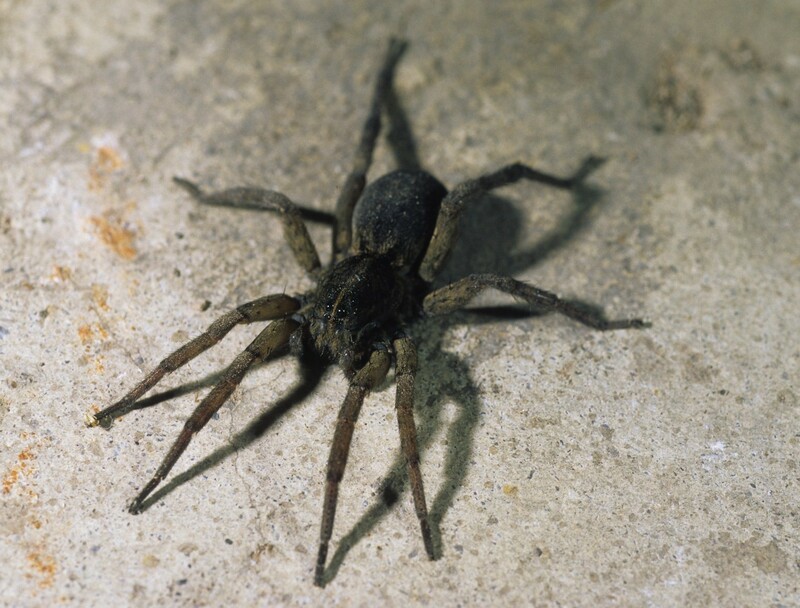 When not active, wolf spiders rest in cracks in the soil, in burrows, or under rocks or logs. 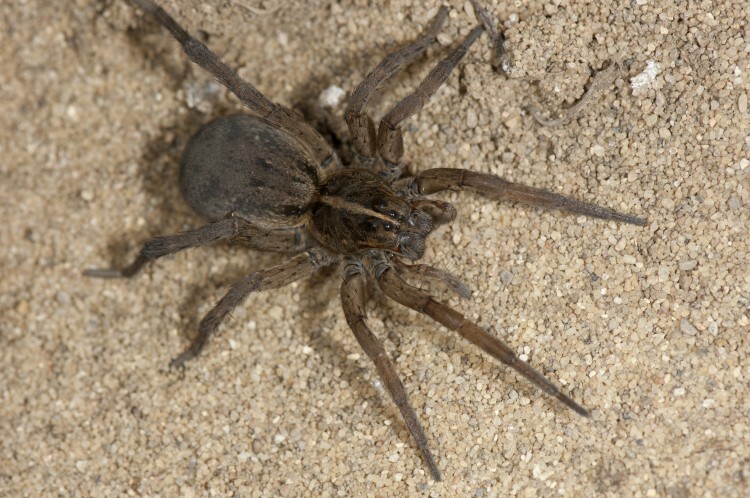 They do not usually build a silken retreat.